KADY International is proud to be a leader in manufacturing industrial grade high speed dispersion equipment. We have been in the industry for almost 70 years and we pride ourselves on continually growing our business through innovation and high quality customer service. KADY International works hard to design, engineer and manufacture high quality mills, mills that can be found in forty-one different countries across the world. Our lab mills are a fine example of the attention to detail and quality that we put into each and every one of our products. We have two main styles of lab mills. The first is the newly engineered L- 2000 High Speed Dispersion Lab Mill. This mill offers just about unlimited dispersion/mixing combinations and the fresh design incorporates an enclosed shaft which allows for deaerating capabilities. The mill has continuous through put rates of 3-5 GPM, or a batch operation of 1 pint to 3/4 gallons. This is our top entry version of a lab mill. 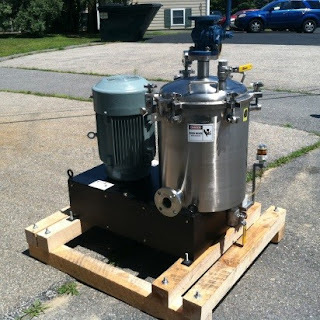 The bottom entry version, otherwise known as Model LB has a batch working capacity of one gallon and is outfitted with all wetted parts in a stainless steel. We even have a vacuum operation available as an option for our Model LB Lab mill in order to better meet your needs. One important aspect of our lab mills is scalability. If we can achieve the results in the lab, we can scale up to pilot and production equipment. As we’ve said before we have been designing, engineering and manufacturing mills for many years, so you know that you can count on us for high quality and reliability. We encourage you to reach out to us if you have any further questions either through our Contact Us form or by giving us a call at (207) 883 -4141. We are waiting to answer your call and any questions you may have! Kady introduced the “Premilling” concept over 25 years ago! Premilling works to combine both the premix and early milling stages into one extremely efficient step. Because of this, your whole mixing process can change for the better. Our KADY PreMilling equipment is able to deliver a finer premilled base to your media mill thereby eliminating multiple media mill passes, reducing your production time and equipment cost, saving clean up time and cost, and increasing capacity with higher throughput. A single high speed KADY Mill can provide a superior homogeneous premix by wetting pigments and producing a dispersion that’s well below a traditional high speed disperser premix particle size in less time. This eliminates multiple media passes which cuts out production time and clean up time. This also means that you can cut back on a few pieces of expensive equipment. If you want to learn more about the Premilling process, contact us today for further information from our dispersion experts. You can reach us at (207) 883-4141 and ask about our free in-house lab testing or our large inventory of refurbished mills. We have been in the industry for almost 70 years and our mills are in operation worldwide. We look forward to hearing from you and how we can provide a high quality solution that works for your needs and requirements. Over the years KADY International has gained the reputation of being a leader in the industry, and one of the ways that we have been able to secure this reputation is through dedication to our client’s needs. On top of this dedication, we are also deeply committed to providing high quality equipment that will add value to our client’s overall process. In order to achieve both of these KADY is proud to say that we offer on-site laboratory testing to not only ensure that a KADY Mill is the appropriate equipment for your application but to also ensure trouble free scale up to our pilot and production equipment. Additionally, we offer rental lab, pilot and smaller production mills. 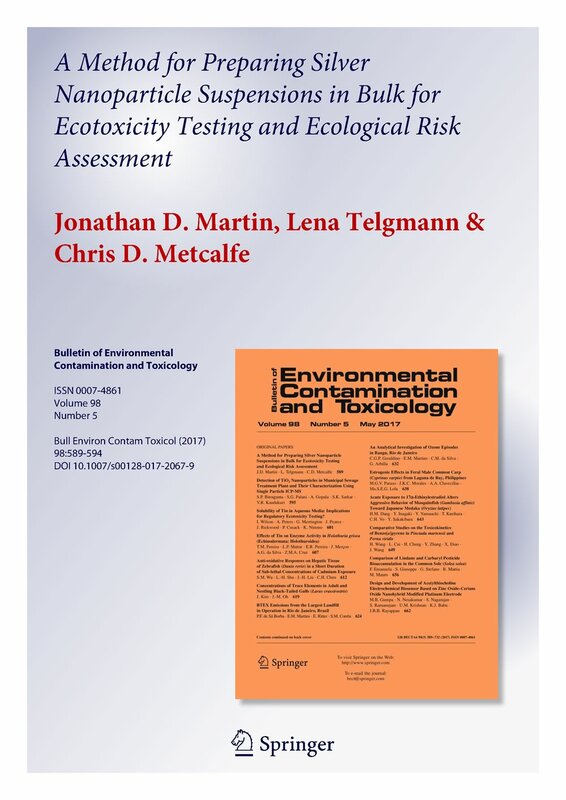 This allows our customer to become better acquainted with the equipment in their facilities and perform follow on testing with products other than those run in our lab as a feasibility test. Customer satisfaction is one of our main goals here at KADY. If you are not happy with your KADY product then we are not happy. With a wide selection and a dedicated staff to help you through every step of the process we are sure to have a solution for your need. Visit our On-Site Testing page for more information about this program or give us a call at 1-800-367-5239 for any further questions you may have. We are ready and willing to put our experience and knowledge to work for you in order to increase your processes overall efficiency and value. Here at KADY international, we manufacture three different types of high speed dispersion mills. Our Top Entry models ( L-2000, 2OT, 25T and 100T), Bottom Entry (OO, OC, 4C, 500B) and our continuous flow mills (OOCF, OCF). All three of these models share the same operating principle with high shear, impact and impingement. Each model uses a similar rotor stator configuration and all have approximately the same top rotor tip speed of around 9000 feet per minute. This means that each model can be utilized in similar applications from mixing paints and inks to paper, chemicals, mineral products, waste water, cosmetics, pharmaceuticals and many more. While they can all be used almost interchangeably, some models offer more advantages in certain applications than others. For example, paint and ink applications which require multiple color changes for the same machine, are best suited for a top entry mills where multiple tanks are able to be serviced and a separate clean tank can be used. Our bottom entry machines work well in applications that are dedicated to a single product or color. And applications that require vacuum or pressure are typically best suited for bottom entry mills as there is no penetrating dispersion unit through the top of the tank. If you are unsure of which mill might be best suited for your unique application, be sure to contact us today and we will be happy to help identify which Kady high speed dispersion mill will suit your application best. Please contact Kady International today and learn more about our no charge in house testing service. 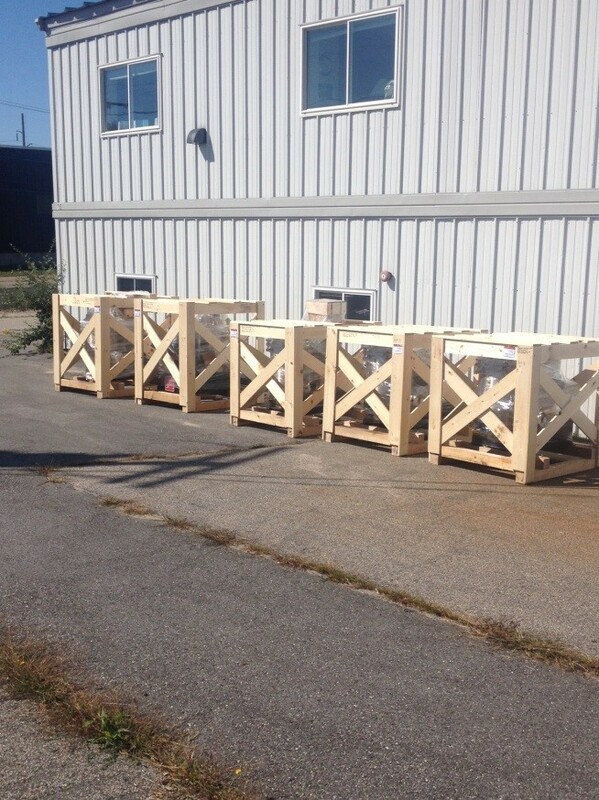 These continuous flow mills are a part of 18 mills that are being shipped to the waste water industry this quarter. Here at KADY International, we custom design our mills in order to fit our customers’ needs and specifications. For example these are 40 horsepower mills that will service flow rates in the 10-40 gallon per minute range. We are able to manufacture continuous flow mills with flow rates from 3 gallons per minute to 500 gallons per minute, all depending on your application. We are proud to be a company that listens to our customers and understands their applications in order to provide them with the best possible products from continuous flow mills to our line of refurbished mills. You know that you can count on the experts at KADY to provide you with the best possible solution at a competitive price. Here at KADY International we work hard to provide our customers with top of the line equipment at the best possible price. Often times this means that we will recommend our refurbished mills. These mills are in like-new quality and come with a new machine warranty. We have just recently sold one of our refurbished top entry mills to a fast growing Epoxy/polymer flooring company in the mid-west. This specific machine is our 20T-40 Model which is a versatile mill with 40 horsepower and has a working capacity of 70 gallons. The standard 20T model comes with 30 horsepower and a working capacity of up to 100 gallons. We are pleased to say that our customer saved upwards of $15,000 over a brand new mill. This customer already has two of our large bottom entry mills and they are adding the smaller 20T for small batch flexibility. If you are in the market for a top notch mixer or mill, consider checking out our refurbished mills as they have a new machine warranty and offer you great savings if the machines fit your desired application. Blenders and mixers often are mistaken for one another, and rightfully so they both do just about the same thing. So what is the difference between the two? Both mix or blender multiple materials into one complete mixture. But while the difference may be small, there are some subtle differences when it comes to mixing and blending. These differences, while minor are important to distinguish because it will make a difference based on the application you are looking to implement them in. Mixing is more often used with mixing liquids with other liquids, gasses, or other viscous materials. While blending often deals with the mixing of solids and liquids or even solids with other solids. So while these two actions are fairly similar it is important to know how you might be using them, especially in the manufacturing world. If you purchase a machine that is designed for the mixing of two or more liquids and suddenly you throw a solid in there and expect the same result, you may end up damaging your machine and potentially wasting materials. So in summary, mixing and blending are pretty interchangeable at the surface level or in day to day conversation. But when you get into the details and take into account the value they bring to manufacturing companies, it is important to distinguish between the two. Failing to do so may result in machine downtime, loss of materials and loss of profit. These past several years we have been focused on designing and manufacturering high quality mills for one of the largest water and wastewater companies in the world. This project will put approximately 30 of our mills into the waste water industry this year and opens the door for more in the future. This project will see our mills all over the globe, the primary focus is the East Coast but a few of these mills will make their way to Singapore and the United Kingdom this year. This particular model is one of our standard models with 40 horsepower and can operate in the 5-50 gpm flow rate range. This makes it ideal for the water and wastewater application our client is using them for. We are proud to say that this type of continuous flow mill can be used in a number of different industries such as the paint, ink, paper, chemical, mining, minerals, and many more industries. We have been in the business for almost 70 years and with each new project we get more and more excited for the industries we are serving and the ways our clients are using all of our products from our continues flow mills to our top and bottom entry batch mills. Most children love playing with trucks and toy construction equipment. Some have just the toys, while others watch movies with talking cranes, mixer trucks, and backhoes. My brother’s favorite toy was his dump truck that could haul dirt from one area of the play box to the other. My grandfather was a mechanic, which lead him to take tools and pretend to fix things on his equipment. Either way, he began as a child wanting to play and fix the equipment to being an adult who operates and fixes the same toys. Although most children are not interested in playing with mixer trucks as compared to other construction toys, they are actually very interesting as an adult. There are a variety of mixers that range in size from large industrial mixers to rotating drum trucks and cement mixers that are pulled behind a car. The most common rotating drum mixer that comes to mind is a cement mixer. In a cement mixer, water, aggregate such as pea gravel or sand is blending to make concrete. This type of mixer can be purchased or rented for personal or commercial use. It may be a good investment to purchase if you plan on completing more than one job, but if you know what you are doing and want to do-it-yourself, renting might be the better option. One thing’s for certain, you need to do business with those that have experience and dedication to customer service, as you will find with Kady International. Dynaflow: A Dynaflow blade is shaped like a rectangle that is gradually thinning. The center of the mixer is where the thickest part of the blade is. There is a slight angle to the blades for optimal mixing of the various ingredients. The Dynaflow blade is designed to break up lumps and prevent excessive frothing of the mixture. Propeller: The propeller blade is shaped like the blades on an airplane or marine engine propeller. If you do not recall these types of blades, they are like petals on a sunflower that surround the core of the flower. The propeller blade is designed to mix liquids quickly and efficiently. The mixing motion created by this blade can cause frothing, which can also thicken liquids. This design allows the mixer to cut deep into thicker liquids and provide a churning action that is ideal for mixing a variety of liquid types. Pitch: A pitch mixing blade is designed with angled rectangle blades located at the tip of the mixer, making it useful for cutting through lumps, as well as a homogenous mixture. The pitch blade is used for both liquids and dry materials. Radial: A radial blade is another rectangle blade design, but with no angle and a 90 degree placement of each blade relative to one another. This type of blade is better used for mixing lumpy mixtures and those with dry materials. The radial blade should not be used if you want a thicker mixture with a higher volume. Part of the manufacturing process used in many industries such as food, chemical, cosmetic, and adhesive, includes mixing contents together to make materials and other products. 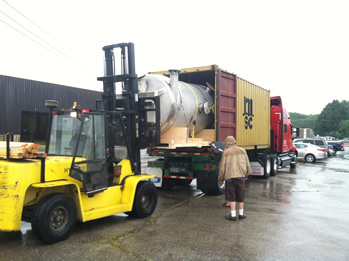 Industrial mixers are usually very large, allowing them to mix large batches of product all at one time. Also, larger mixing tanks allow companies to produce products at higher rates in short periods of time. Mixing is a common first step of many in the manufacturing process to produce specific products chosen by individual companies. There are several different kinds of mixers that industries use to mix their batches, to include: drum, food, vacuum, batch, and static mixers. They also have different options for mixing blades (some detachable) and how the mixing blade will rotate (based on what is being mixed). Some materials require a constant movement by using a continuous flow mixer while some materials require a static mixer, where the mixer component does not move. In addition there are industrial mixers that are set to mix, disperse, emulsify, homogenize, mill, or blend products for short and long periods of time. 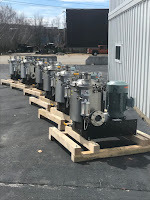 Businesses that only need small batches of product are not required to buy the larger industrial mixers since there are many size options available. 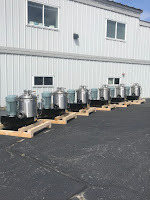 They can also buy mixers that are specified for multi-use of varying ingredients with detachable blades, allowing the company to save space and money for their mixing needs. From large industrial companies with hundreds of mixers to small scale mixers designed for personal use, customers will find that mixers provide many benefits and solutions for hard to mix ingredients and the production of products. Not to be confused with the emulsifier agents such as eggs, emulsifiers are specific mixers used to mix two liquids that cannot be joined in a homogenous solution. The difference between an emulsion and a solution is that there is no dissolving of a solute into a solvent. Instead, emulsions are mixtures of materials in which there is a near-even dispersion of all of the involved materials throughout the mixture. Emulsifiers are the tools that are used to create emulsions. To achieve its purpose, emulsifier mixers use high-speed rotation and centrifugal force to get emulsification. There is a large need for emulsifiers throughout industrial industries due to the variety of industrial processes and operations in which there is a need for the mixture of liquids. They can be used as tank circulators in the processing and storage of high-viscosity chemicals. Outside of the context of chemical processing, emulsifiers can also be used in the food and beverage industry as well as in research and development applications. Emulsifiers used for chemical storage must be capable of continuous operation. If left alone for long enough periods of time emulsions are known to separate. Once the constituent materials in emulsion become separate, the mixture ceases to be an emulsion and will need to be mixed again to regain the status. There’s no question that emulsifiers are very important tools for industry, and as long as there is need for the processing and storage of emulsions, industry will need emulsifiers. Paddle mixers are almost identical to that of the bottom half of a canoe or kayak paddle. The paddle portion is the thick rectangular half or the end one would stick in the water. This part of the paddle is flat and rather thin in thickness, but is very durable. The paddle mixer is used for mixing heavy solids or when mixing wet and dry ingredients. These types of mixers are usually used for mixing dry materials, like minerals, but can also mix rubbers, plasters, and chemicals. Placement of each paddle head is strategically placed and distributed so that the best mixing can take place. When mixing, the paddle heads rotate and mix the ingredients in a rectangular shaped bin. More elaborate bin mixers allow paddles to be interchanged for more than one type of mixing. Industrial mixers come in many other types also such as a vacuum mixer, jet mixer, mobile mixer, screw blender, ribbon blender, double cone blender, high shear rotor stator, continuous processor, double and triple shaft and many more. The paddle mixer, like many of the mixers mentioned, has its own unique characteristics that provide different mixing patterns. Mixers play a very important role in the manufacturing industry when material requires mixing before the production of a product can begin. Over the past few weeks our teams have been working on a special continuous flow mill system. 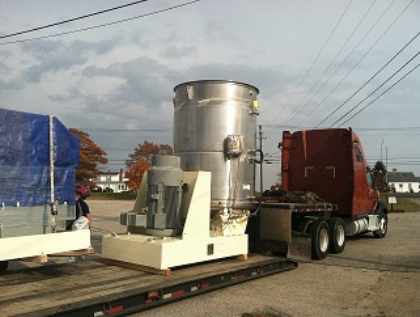 The system is comprised of a 1200 gallon, 350 horsepower continuous flow mill, a control panel, and some ancillary equipment, and it is currently on its way down to Mobile, Alabama, where it will be used in a bitumen terminal. Our equipment will play a crucial role in reliably and efficiently blending and dispersing bitumen for use in asphalt concrete and roofing applications. This specially designed system utilizes a 1200 gallon vessel with multiple side and bottom ports. Materials are pumped in through the bottom ports of the vessel and blended. The upper side ports are used to discharge the materials from the vessel, and each is located at a different volume level. This mill design provides flexible retention times, so the mill can be reconfigured based on application needs. When the higher ports are used, it takes more time for the materials to be discharged, so the materials are mixed and blended longer. The materials, then, leave the vessel with more energy input which eliminates the need for recirculation and multiple passes through the system. Additionally, the mill can be reliably used for flow rates up to 750 gallons per minute, reducing the need for many premixing and pretreatment tanks and pumps. 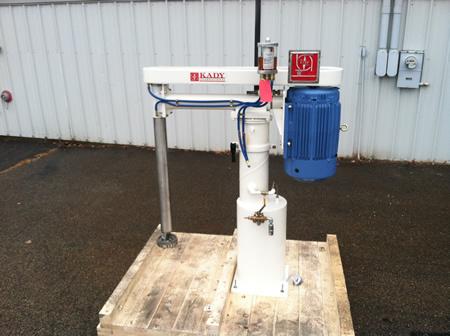 At Kady International, we have been manufacturing industrial mixing equipment for almost 50 years, and this continuous flow mill is a testament to our continued dedication to quality and reliability. There are a variety of substances and liquids that do not mix well together, such as oil and water. Even after being mixed, leaving a jar to sit untouched for a while, the water and oil will eventually completely separate with the oil rising to the top or the jar and the water sinking to the bottom. In such cases where two substances do not mix, manufacturing companies will use a high shear mixer. A high shear mixer is a type of mixer that is designed to fully merge solid, liquid, or gas elements that traditionally would not mix together. A mixing method, called shear straining, will move two types of fluid across each other at different speeds. This method creates an area of deformation in the contact area between the two fluids, resulting in a homogeneous substance. The shear mixers mix at very high speeds in order to combine the two substances. There are a variety of shear mixers including: inline, batch, and ultra-high mixers that are used to mix chemicals and other materials together to form one substance. Mixing is a huge part of many different industrial applications. Large scale mixing tanks create the ability to mix products in large batches and in shorter periods of time for industries ranging from food products to metal alloys and cement mixtures. The most popular type of mixing tank is made of stainless steel and used in mixing food-related products and those that require a high level of sanitation and bacterial-resistance. Stainless steel metal keeps the inside of the tanks clean, prevents materials from sticking to the walls of the container, is resistant to heat and is extremely durable. 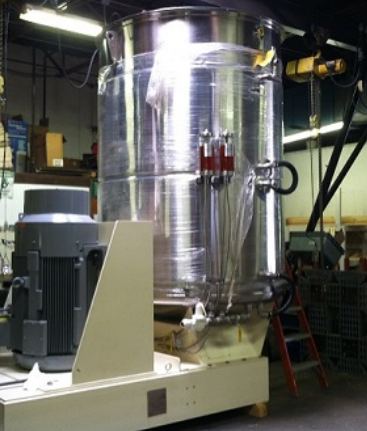 For these reason and many others, more companies choose stainless steel mixing tanks than many other kinds of tanks. Open Top Mixers: Open top mixers are ideal for mixing ingredients that do not need extremely sanitary conditions. The open top design makes it easy to add new materials when necessary while the machine is mixing. Many general industrial mixing procedures occur in open top mixers. Sealed or Pressurized Tanks: Sealed and pressurized tanks are ideal for mixing materials that require a high level of sanitation, such as in food preparation. Pressurized tanks can agitate materials together under high pressure, fusing different material molecules into one seamless mixture. High Viscosity Tanks: High viscosity tanks are designed to mix viscous liquids, such as oil and other viscous liquids. These tanks use special agitators to mix the different materials together. IBC Totes: IBC totes have a square shape rather than a rounded shape like many mixers. The totes are designed to store and blend liquids together in a sealed environment and are often used for delicate materials and food or beverage production. Not so many years ago, milk was derived from a family cow or local farm. Today, you can go to any grocery or convenience store and pick up a gallon in multiple varieties. From the farm to the store, there are many different steps taken in producing homogenized milk. At the farm, the milk is collected from a plethora of cows and amassed inside giant tanks. Not every cow’s milk produces the same milk quality, where one area in the container may have a higher fat content and another very little. To accomplish a smooth and even mixture, homogenizers are used to blend those milk ingredients together. Imagine picking up two gallons of milk where one has a thick consistency and the other almost like water. These industrial mixers are used in the giant milk containers and can ensure that everyone is consuming the same mixture of milk, also making it easier to correctly label the milk ingredients on the containers. Like most food industry mixers, milk homogenizers are made of stainless steel. A typical makeup of a homogenizer consists of a holding tank, a motor and an array of rotating impellers. Like the job of an emulsifier, homogenizer mixers break up globules of fat in the milk with a device that pushes the substance through tiny holes with high pressure, forcing the liquid to fully mix. If homogenization was not part of the process, the separation of liquid from fats would cause the formation of cream. Agitators are utilized in a wide range of industries including chemical processing, paint manufacturing, water & waste water treatment, food processing, mining & minerals, oil & petroleum, pharmaceutical, biotechnology, soaps, cosmetics and much more. Agitators are used for a number of applications such as liquid blending, emulsification, heat transfer, crystallization, gas dispersion, absorption, washing or leaching, dispersion and dissolution. An agitator is a type of mixer used for materials with low viscosities in low-shear applications. 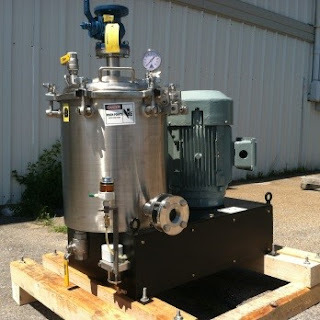 There are different types of machines that perform agitation such as magnetic agitators or manual agitators. A washing machine is also considered to be an agitator. As far as liquid blending is concerned, these machines are excellent for mixing two or more liquids. Agitators will mix liquid materials to create a uniform mixture. Since agitators are used for substances with low viscosities and most emulsions have high viscosities, emulsification applications require scraped wall agitators that work along side with a high speed disperser. Agitation is a very important step to avoid particle from settling at the bottom of a tank. Dissolution is a sub-category of solid suspension which involves forming a homogenous phase from a solution of solid particles in a liquid. Solid suspension pertains to keeping a slurry of solid particles mixed within a liquid. Essentially, the main function of an agitator is to create a certain level of uniformity between two or more liquids (or solid particles) within a vessel. How many different types of industrial mixers can you name? Mixers are used in a variety of ways across industries to create a variation of products. Though there are many variations each has a significant use. One type of mixer that creates many items we use everyday is an emulsifier. Emulsifiers create many food items and cosmetic items, among other products. So how do emulsifier mixers work and what kinds of products do they make? In addition to the mixer, certain additives may need to be added to create the final product solidifying the emulsion. Emulsifier mixers are motorized blades and paddles that rotate on a stationary shaft inside of a tank to thoroughly combine any solid or liquid into a final product. The specific job will depend on the sharpness or dullness of the blades, small or large paddles. These mixers are effective because of their high shear abilities. This high shear ability allows for the mixer to create emulsions. Emulsifying is usually one of the first steps in the process of creating various new products. Therefore, they need to be reliable and durable to perform their job regularly with ease. Where many mixers do exactly that, mix. Emulsifiers bring two or more substances into an irreversible blend. When an emulsion is complete the new product cannot be reversed into the substances they once were and do not need to be shaken or remixed like many other products. For example, some beverages are a mixture of different substances and will layer if the beverage was let to settle for a period of time. However, lotion on the other hand is much more stable as one product, which was emulsified into one substance from many. Even after sitting out for the same period of time the lotion will still look, feel and function exactly the same as the day it was made into an emulsion. Besides the mixer another aspect may be needed to finish the desired product. Depending on the materials being mixed and the sought after viscosity, different times are needed to mix thoroughly. For example, cream cheese and liquid soap will take a different amount of time to be turned into their final form. To create a final product you need more than the mixing emulsifier. Additives are placed into the mixture. The most basic emulsions are water-in-oil and oil-in water. However, there are other natural (egg, soybean oil) and synthetic (polyethylene glycol, surfactants) emulsifiers used depending on the product. When these are introduced into the mixture it adds to the stability of the final product to keep its final form consistent and not settle back into the previous substances that were used to create the new product. When it comes to industrial mixers, there are many viable options depending on application. Mixers can be classified into two categories; batch mixers and continuous mixers. Both have their advantages and can be used to mix concrete. Batch mixers are typically used to produce construction materials for interior and exterior projects whereas continuous mixers are applied in the food, chemical, pharmaceutical and manufacturing industries. Batch mixers are industrial mixers used to produce precise mixtures in single batches. These are very high capacity mixers and can mix batches up to one thousand gallons. The typical batch mixer consists of a cylindrical tank with two opens. To mix raw materials, they are inserted into one end as the tank rotates. Once the materials are thoroughly mixed the mixture leaves through the opposite end into molds or troughs. Normal batch mixers are very large but they can be mounted on a wheeled frame to be more easily moved to strategic positions. Continuous mixers mix as their name implies; continuously. They offer less flexibility than match mixers and have a chance of producing small variations to batches. However, they do require less staff to operate and are utilized when speed and efficiency is priority. To mix materials, a continuous flow of raw ingredients is fed into the machine and a flow of finished mixtures flows out the other end. This system is usually automated so there is no need to refill the mixer. Finished products out of continuous mixers are measure in grams per hour as opposed to the grams per batch measurements batch mixers utilize. Once again, both mixers have their advantages, it depends on what you priorities to determine which mixer is best suited for a particular project. Kady International, an industry leader of high powered mixing equipment, has recently sent a shipment of Kady Mills to Brazil. Kady International has decades of experience providing mixers to international markets and their mills are in forty-one countries across the globe. 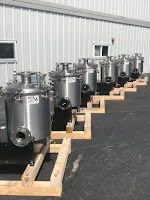 These two particular large-scale Kady Mills which were sent to Brazil are designed to handle 1000 gallon batches and these will be utilized in a large minerals facility. The mills will process clay which will then be used for paper coatings. These 350 horse powered machines have a continuous flow mode configuration and each mill will be able to handle approximately 700 gallons per minute. 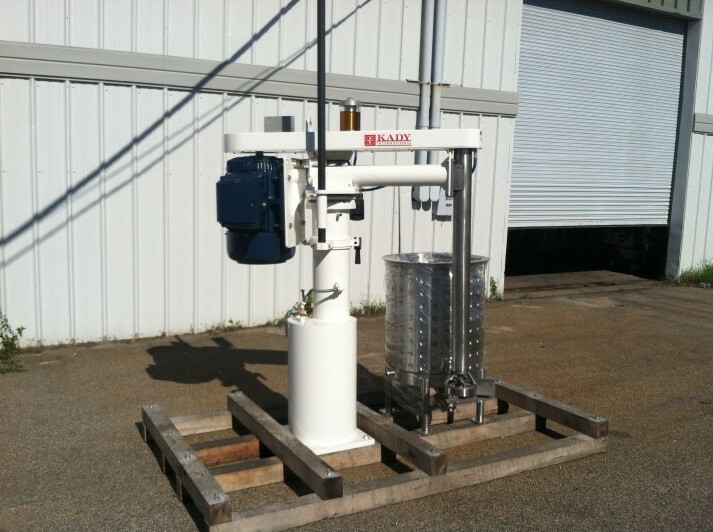 Kady International stresses the importance of delivering high quality industrial mixers which is why both of these mills were fully assembled and tested prior to shipping and then disassembled for shipment. KADY® International manufactures industrial mixers, and mixing equipment, high speed rotor-stator dispersion mills and fine mixing systems, for fluid/solid applications. KADY® International has successfully designed, engineered and manufactured mixing/dispersion equipment for almost fifty years. In the process manufacturing community, the mixing experts are the mixing equipment manufacturers, and they understand how different blades, speeds, mixer configurations and bowl shapes interact with different types of substances during the mixing process. There are nearly as many different types of mixing as there are products to be mixed – from industrial slurry adhesives to milk homogenization to bologna meat mixing, industrial mixers work differently to achieve smooth blending. Agitators - A common example is the central agitating blade in a top-loading washing machine. It remains stationary on its center axis, agitating water and clothes with its paddle as it turns. Agitators in food and industrial product processing may have similar configurations, or they may be removable agitating rods which are placed into a substance only long enough to properly agitate it. Agitators are used in liquids, as agitation is not as effective with thick, highly viscous materials. Static Mixers – AKA inline mixers, these smart pieces of equipment have no moving parts. Carefully designed ribbon-like obstructions are placed inside a cylinder through which liquids flow. As the liquid flows through, the obstructions inside cut the flow of the liquid, forcing it to mix and blend together. Inline mixers may be attached to flow tubes to enhance a liquid’s homogeneity without requiring power or servicing to moving parts. Emulsifiers - These may be inline, like static mixers, or a separate machine; both types are used in the blending of immiscible liquids such as oil and water or cream and milk. In inline and centrifugal emulsifiers, pressure is applied to the liquid-liquid mixture as it is forced through very small filters which break up larger molecules into smaller. In the case of milk and cream, cream is composed of large fat molecules which separate from milk due to the huge difference in molecule size; emulsification breaks cream molecules down so they are similar in size to milk molecules. Emulsification is sometimes achieved by adding emulsifying agents, by centrifugal force or by fast shearing. Homogenizers - Can be synonymous with certain types of emulsifiers. Homogenizers combine heterogeneous liquid-liquid mixtures by subjecting the mixture to extreme force and pressure, resulting in a breakdown and complete blending of the material. Most homogenizers have vertical axis shearing blades which blend within a closed container at very high speeds. Food mixers are extremely important to the bakery business. In season, bakers can make over dozens of pies, cupcakes, cookies, muffins, pastries, and others. In order to keep with customer demand, they need to be ready to replace anything that might sell out. Particularly, this is important as the volumes of baked goods needed goes up. Bakers use a variety of different high tech baking equipment. One of these pieces of equipment is a super industrial food mixer. These mixers come in a variety of different sizes. There are ones that look like they would sit on your kitchen counter and there are ones that are ten times that size. These mixers are valuable to the baker because with of the time and money saved from the baking processes. Any company that uses the baking process would find value from food mixers. Using the mixers increases production and efficiency around the work area with little manual labor and no labor to mix. There is a variety of different mixers on the market that can be purchased from personal use to industrial sized mixers. Most of us have small electric mixers that we use on a small scale to mix ingredients together when we are cooking. In the very olden days, early food mixers were operated by hand by turning a gear wheel connected to the beaters and the cranking motion would get them to turn. Most food production companies use even large mixers that mix thousands of pounds of ingredients all day, every day. With the absence of these mixers, baking companies would not be nearly as well off as they are today.